Adriana graduated in Social Communication and specialized in Digital Project Management at Universidade Metodista de Sao Paulo. 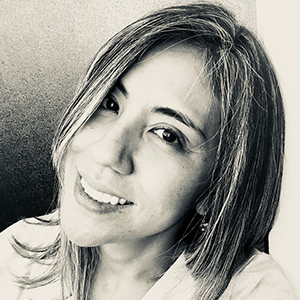 She has worked for more than 15 years in private companies such as Discovery Communications and Sony Pictures Entertainment, in Advertising, Marketing and Sales, where she has developed skills in dealing with different people, hierarchies, and market segments. On a quest to humanize her career and grow personally, she took a technical course in massage therapy and allowed herself a sabbatical to deal with her own pain while helping other people relax muscle tension and gain new postures to navigate their daily challenges. It was from this experience that she found a new purpose: As the a co-founder of Levain, a strategic communications company she aims to bring more honest conversations into the workplace by helping the LGBTQ + community progress in their careers with equal opportunities and respect. Adriana is dreamy, but brave. She believes in human potential and knows that her only legacy here on Earth will be her accomplishments. This is why she gives love and dedication to everything that spreads peace and respect for differences.